Copyright © OT. Ljostad - This image is copyrighted. Unauthorized reproduction prohibited. A wellformed, transparent, monoclinic, 0,25mm crystal of petarasite on albite. 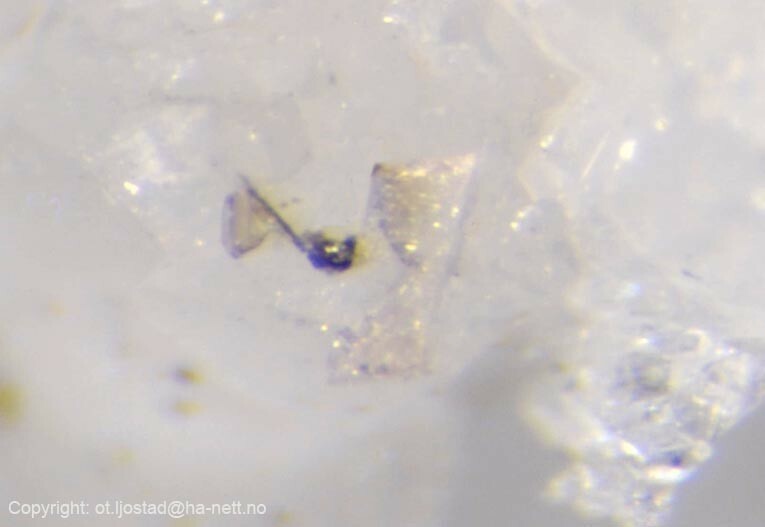 The identity of the petarasite from the Midtfjellet quarry has been verified by Alf Olav Larsen with X-ray diffraction and electron microprobe. The specimen was collected by Peter Andresen on April 8th, 2006, and only a handful of specimens were collected. It is now in the micromount collection of OT. Ljøstad.